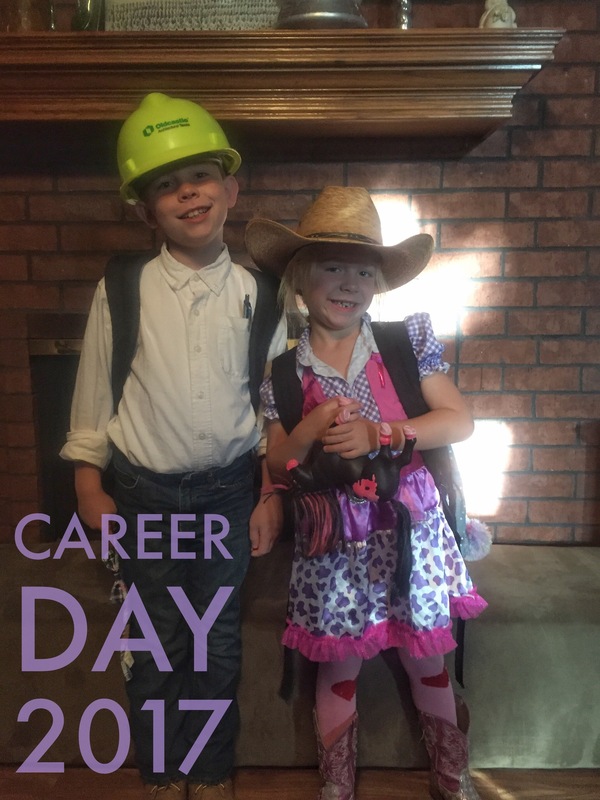 The big kids had Career Day at school today. The kids were encourage to come dressed up as what they want to be when they grow up. Anna, at first, wanted to be a witch, then a unicorn, then a rainbow, later a policewoman, a ballerina, a princess, and they finally settled on being a cowgirl. Good imagination, this one. All this occurred while I was on an overnight trip to Houston for work. Is Garen the best/coolest daddy ever? I’d say so. And maybe the most patient too.